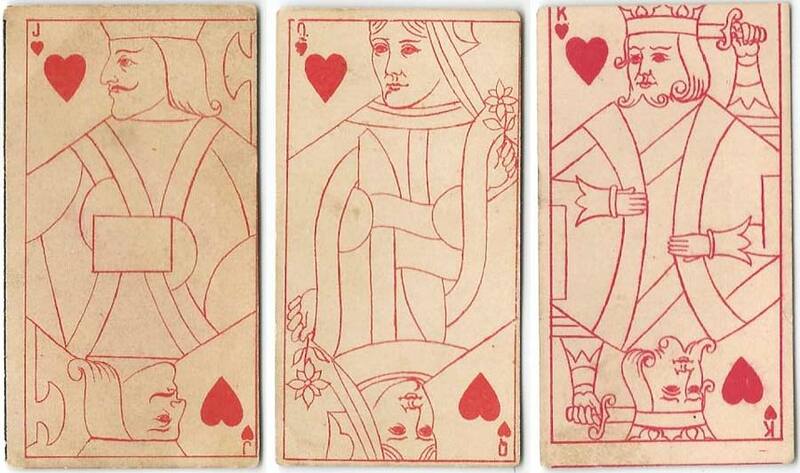 Kinney Brothers Transparent Playing Cards were first issued in c.1890. 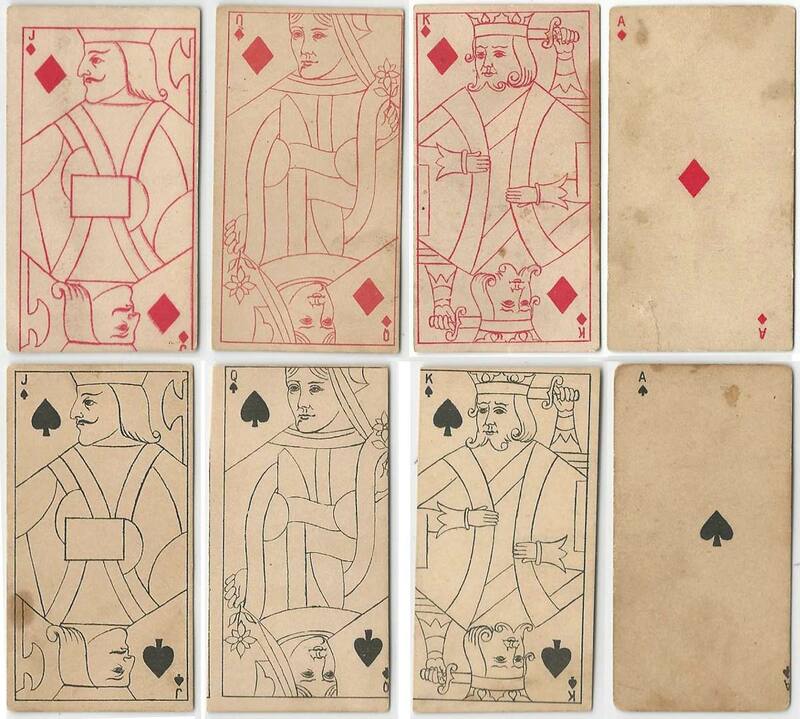 While the card faces show simplified standard court outlines in monochrome (the same in each suit), hidden humorous or glamorous images can be seen in colour when the cards are held to the light. A fortune prediction was also printed alongside. There were several issues, the first of which contained 52 cards. No joker has ever been seen despite a 53 card variant mentioned on the backs. Tobacco insert cards were widely used to encourage repeat sales to smokers trying to complete sets.